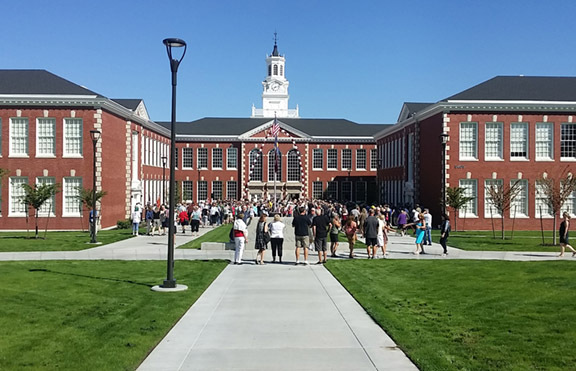 The grand opening for a modernized, state-of-the-art Franklin High School on Saturday September 2nd welcomed alumni, families, faculty, Portland Public Schools officials, along with the design and construction teams. It was clear that the school remains a landmark of its southeast neighborhood and offers fond memories to returning alumni from classes as far back as the 1930s. The campus and renovated building have been transformed by the hard work of many dedicated individuals in order to serve future generations. 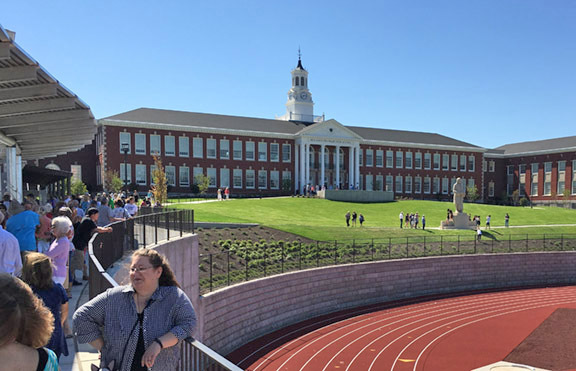 Along with Portland Public Schools and its faculty and students, we at Mayer/Reed share the overwhelming sentiments of pride and optimism for the learning, social and athletic opportunities now possible at Franklin High School. We are truly pleased to have served a significant role in the success of the project.